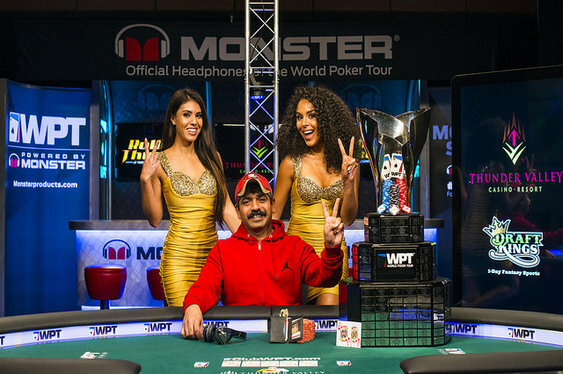 It was a case of second time lucky for Ravee Mathi Sundar who has followed up a final table appearance at the WPT Bay 101 Shooting Stars by winning the WPT Rolling Thunder. The software engineer finished in sixth place last week but made no mistake this time, topping a 379-runner field to pocket $266,857. Sundar was eliminated from the Bay 101 Shooting Stars event by eventual winner Taylor Paur who almost made it back-to-back titles with another deep run. Paur eventually departed in third place after a three-handed battle that lasted five hours. The 27-year-old added another $113,154 to a bankroll that had been boosted by over $1.2m last week.